Lawyers sometimes have a hard time explaining to their children what they do all day at the office. John Palter gave up trying to explain the intricacies of his complex litigation practice to his kids, and simply told them that every day their dad “reads a lot of big books, works on a computer, and helps people solve their problems.” In fact, that is exactly what John loves to do – find STRATEGIC solutions to his clients’ business problems. With more than twenty years of experience advocating the interests of individual, emerging growth and institutional clients, John Palter has served as lead and local counsel in numerous jury and bench trials and arbitrations in cases involving securities, accounting, intellectual property, copyright and trademark infringement, trade secrets, non-compete agreements, employment, insurance coverage, oil and gas, dissenter’s rights, deceptive trade practices, quasi-torts, and estate disputes. He is practiced at enforcing his clients’ rights via pre- and post-judgment collections. And when it makes sense, John is equally comfortable resolving complex commercial disputes via alternative dispute resolution prior to formal litigation or trial. John is a Certified Public Accountant, which has served him well when representing clients in jury trials and arbitrations involving complex GAAP accounting, accounting negligence, securities and intellectual property matters. He has represented clients throughout the country in multi-district and multi-venue litigation before State and Federal Courts, FINRA and the American Arbitration Association. • Represented a national corporation, as seller, in a post-closing purchase price adjustment dispute before the American Arbitration Association. Secured favorable award on all claims following arbitration on the merits. • Represented a holding company of numerous local exchange carriers in an accounting malpractice case. Secured a favorable award after arbitration on the merits. • Represented individual and corporate plaintiffs against accounting firm and members asserting claims for negligence, fraud and breach of fiduciary duty in connection with pension and profit sharing plan. Case successfully tried to jury and affirmed by the Texas Court of Appeals. • Represented an international corporation in a breach of contract case and defense of numerous intellectual property issues. Secured favorable settlement. • Defended a business owner against allegations of breach of franchise and purchase and sale agreements, and breach of trade secrets. Case was favorably settled by restructuring contractual agreements. • Successfully defended a real-estate developer in a multi-million dollar post-closing adjustment and breach of contract case. • Defended a non-profit entity and individuals in a lawsuit involving sexual harassment and fraudulent concealment. Filed and argued Special Appearance to Present Motion Objecting to Personal Jurisdiction of the Court, which resulted in dismissal of claims against individual client. Balance of the claims settled favorably at mediation. • Represented a non-profit entity against a claim of wrongful discharge. Obtained a dismissal of all claims via a Motion to Dismiss Claims under ERISA. • Successfully secured more than 150 emergency orders of injunctive relief in State and Federal Courts while representing employers in employment defection, non-compete and trade secret cases; successfully defended matter on appeal to United States Court of Appeals for the 5th Circuit. • Represented a local software company against publicly-traded education company based upon claims for breach of contract, copyright infringement, and theft of trade secrets. Secured favorable settlement award. • Represented a publicly-traded online data provider in defense of copyright and conversion claims. Case satisfactorily resolved through confidential settlement. • Represented a publicly-traded online data provider in prosecution of copyright and conversion claims. Case satisfactorily resolved through confidential settlement. • Represented a publicly-traded oil and gas development and production company. Obtained final summary judgment on all affirmative claims and defenses. • Represented over thirty individual and corporate investors as plaintiffs. The matter was favorably settled at conclusion of three month jury trial, with several interlocutory appeals taken to the United States Court of Appeals for the Second Circuit. • Successfully prosecuted an investor claim involving day trading, margins, suitability and unauthorized trading. • John Palter has been named a 2015 Super Lawyer. Super Lawyers is a rating service of outstanding lawyers from more than 70 practice areas who have attained a high-degree of peer recognition and professional achievement. The selection process includes independent research, peer nominations and peer evaluations obtained and tabulated by research firm Thomson Reuters. •	John has been selected to Super Lawyers multiple times (2004-2007, 2009-2018). 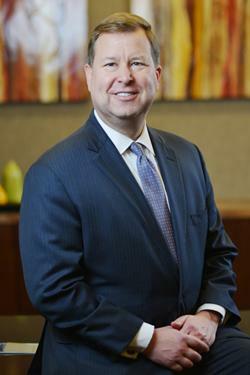 In 2011, 2012 and 2013, Super Lawyers named John Palter on its "Top 100" list of Dallas/Fort Worth lawyers. The lawyers on the "Top 100" list received the highest point totals in the Texas nomination, research and blue ribbon review process performed by research firm Thomson Reuters.